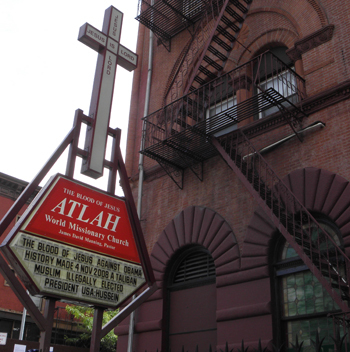 The trial, held at ATLAH World Missionary Church in Harlem was under tight security requiring anyone wishing to attend to be subjected to security screening, including a metal detector. However, Manning isn’t just calling Obama names; he’s calling Obama out as an impostor and usurper, illegally holding the office of President of the United States, in the name of the Lord, America and the Constitution. Manning is also holding Columbia University responsible for being complicit in a scheme to falsify Obama’s credentials and background and contends he can prove Obama never attended Columbia. 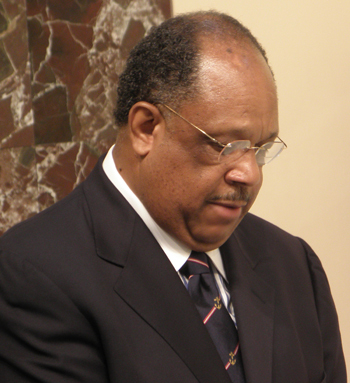 With a commanding presence, Pastor James David Manning was as prepared as any attorney would be expected to be at trial in his questioning of witnesses to prove his case against Obama and the Columbia University-assisted C.I.A. cover-up. I agreed and headed to Harlem, or rather ATLAH, and testified in day two of the trial, which began on Friday, May 14 and is expected to run through Wednesday May 19. Dr. James David Manning, pastor of ATLAH World Missionary Church and his wife Elizabeth led the march around Columbia University each day before the trial, symbolic of Joshua leading the Israelites to tumble the walls of Jericho. 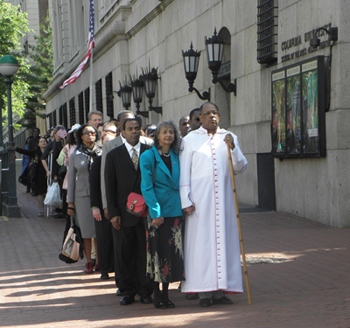 On May 15, following the morning march around Columbia University, Manning introduced Jan Johnson, a member of his congregation, who is also running for governor of the state of New York as a Constitution Party candidate, and agreed to sit in that day as a substitute judge. Pointing out Johnson had never presided as a judge before, Manning quipped, “Neither has Elena Kagan,” Obama’s nominee for the U.S. Supreme Court. In an interview that aired on Sept. 7, 2008, Obama told George Stephanopoulos that he had to register for the draft when he graduated from high school. Obama graduated from High School in 1979. President Gerald Ford eliminated the draft in 1975. There was no draft or Selective Service System registration in 1979. President Carter didn’t reinstate Selective Service System registration until 1980. Obama's Selective Service System registration card is date stamped July 29, 80 (the year was an off-centered, two-digit number without the 19) by the Makiki Post Office in Honolulu. Jan Johnson, a member of the ATLAH World Missionary Church congregation and New York gubernatorial candidate for the Constitution Party, agreed to preside as a substitute judge during day two of the Obama eligibility trial. None of the date stamps on 17 other registrations obtained from the Selective Service System through a FOIA request were stamped with two-digit years, including two stamped at the same Makiki station where Obama allegedly registered. Two different Freedom of Information Act (FOIA) requests for Obama's selective service records were made by two different people. 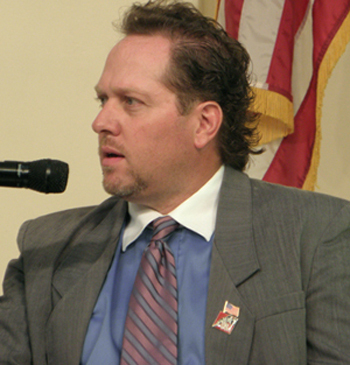 One request was made by retired ICE Agent J. Stephen Coffman in October 2008, while another request was made by Kenneth Allen in February 2009. Both requests, however, were fulfilled with documents bearing computer screen dates of Sept. 9, 2008, two days after Obama’s interview with Stephanopoulos aired, but several weeks to several months prior to either Coffman or Allen’s FOIA requests. The FOIA request I made in December 2009 (after my initial request in October went unacknowledged) for the records of 17 others who registered with the Selective Service during the same period of time as Obama was fulfilled in late January 2010 with documents bearing computer screen dates of Jan. 15 and Jan. 20. In other words, the documents bore dates between the time I requested them and the time the request was fulfilled. The documents that Coffman and Allen received were dated prior to either’s requests and seemingly frozen on the screen date Sept. 9, 2008, although the data was different. The computer printout sent to Coffman reflected a “Last Action Date” of Sept. 4, 1980, the date Obama’s original registration was theoretically entered into the computer. Although the records sent to Allen also bore a computer screen date of Sept. 9, 2008, Allen’s records displayed a “Last Action Date” of June 25, 1991, indicating a Form 50 Letter for a change of address was entered on that date. The DLN (Document Locator Number) on the computer printout provided to Coffman added an eight to the beginning of the number stamped on his registration form, whereas the computer printout sent to Allen added a zero to the end. DLNs do not change once issued. Obama's selective service registration is on file with Social Security Number 042-68-4425, a series issued in Connecticut between 1976 and 1977 and while Obama was attending high school in Hawaii. Entering Obama’s last name, the Connecticut-issued SSN and birth date of Aug. 4, 1961, I pulled up Obama’s Selective Service Number: 61-1125539-1, which inexplicably links Obama to the Connecticut-issued Social Security Number, which two private investigators have attested to being issued sometime between 1976 and 1977 to another person in Connecticut that was born in 1890. One cannot obtain a Social Security Number for any state of their choosing – one must reside in that state, provide proof of citizenship, legal residency or work authorization in order to obtain a Social Security Number. There is no documented evidence Obama has ever lived in Connecticut and certainly not while attending high school in Hawaii. 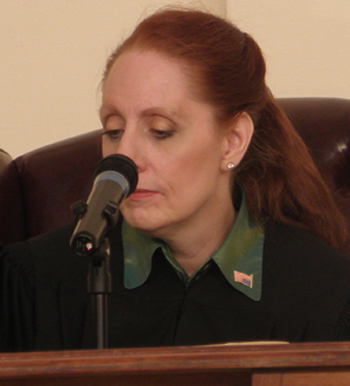 Twelve jurors and two alternates were seated on Saturday. 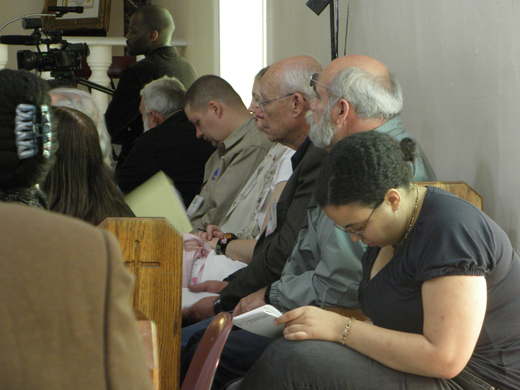 They listened intensely to witness’ testimony and took copious notes during the People v. Obama and Columbia University trial conducted by Pastor James David Manning. Two days after providing my testimony and prior to e-mailing the link to the Selective Service System search engine, just to make sure the link was still valid, so others could verify for themselves Obama’s use of the Connecticut-issued SSN, I entered Obama’s name, SSN and birth date into the Selective Service System search engine on May 17. “Sorry, your request cannot be processed at this time because you have exceeded the daily limit for the verification of these credentials. For the record, I've not made any inquiries into the Selective Service System database since performing my research in October 2009. I also have a printout, dated Oct. 11, 2009, of the “Matched Record” for Obama with Selective Service Number 61-1125539-1, indicating a “Date of Registration” of Sept. 4, 1980, the date when the batch of registration forms, supposedly including Obama’s, were entered into the system. However, immediately after receiving that error message, I made another inquiry for another individual born on Oct. 30, 1971 and whose SSN is one digit different from Obama’s, and was able to retrieve a “Matched Record” with Selective Service Number: 71-1390464-8 and a registration date of Jan. 30, 1990. The Selective Service System has done a sloppy job of creating Obama’s after-the-fact records, which inexplicably tie him to a Connecticut SSN, and by sending substantially different records to different requesters. However, beyond not being natural born Citizen, as required by the Constitution, if one does not register with the Selective Service System before his 26th birthday, one is forever precluded from holding a job with the U.S. Post Office or with the executive branch of the federal government. And, about that two-digit year on the round date stamp supposedly stamped on Obama’s registration form at the Makiki Post Office in Honolulu, the year is a single piece and always contains four digits, as confirmed this morning at the local post office. Cody Robert Judy’s testimony wrapped up day two of Dr. James David Manning’s trial of the People v. Obama and Columbia University. Judy, who ran for president in 2008 as a Conservative Party candidate, filed a complaint against John McCain and the RNC, alleging McCain, who was born in Panama, was constitutionally ineligible to be president. Jeff Jones, a member of Manning’s congregation and 24-year post office employee, took to the stand and testified to the same. Manning provided video documentation of the Certification of Live Birth displayed online by FactCheck as “proof” of Obama’s eligibility and the host of articles ridiculing “Birthers” in the mainstream media. He then called Cody Robert Judy to the stand. Judy ran for president in 2008 as a Conservative Party candidate. He also filed a lawsuit against John McCain and the RNC, contending McCain was constitutionally ineligible to be president, as he was born in Panama. Judy testified it wasn’t until eleven months after McCain was born that legislation was passed making children born to American Citizens in Panama, American citizens. However, according to Judy, the judge failed to timely rule in his case, waiting until after McCain lost the election, and then dismissed the case as moot. Judy also testified there was a legislative attempt to eliminate the natural born citizenship requirement back in 2000 when McCain first ran for president.